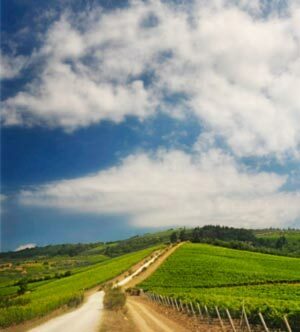 Tuscany is one of the most breathtaking wine regions in the world. It's hard to think of a place that is more iconic with its cypress trees, golden rolling hills and winding roads -- each of these roads leads to a beautiful vineyard that makes delicious wines. The winemaker of Chateau Margaux told me years ago that "a place like Tuscany has to make great wines because it is such a beautiful location." Take all this with the cultural, artistic and historical significance of Florence, the center of Tuscany, and the wines almost seem to taste better than any other in Itay or even the world. 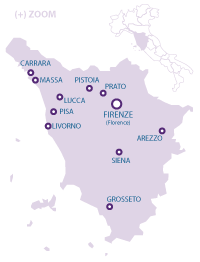 Toscana is all about red wine -- vino rosso. 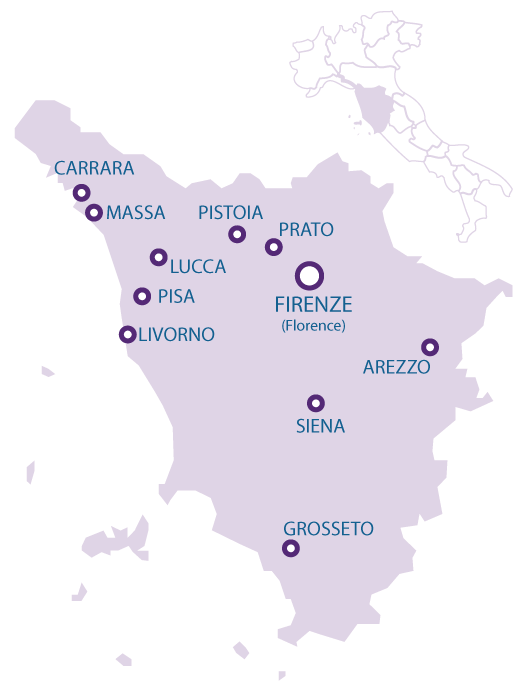 The heart and soul of Tuscany is the Sangiovese grape that makes such fabulous wines as the aristocratic Brunello di Montalcino and popular Chianti Classico. This grape variety is what makes Tuscany so unique, creating wines that are extremely aromatic, subtly fruity, finely structured and freshly crisp. No other vineyard area on earth can duplicate the Sangiovese character. Yet, many winemakers also elect to make wines from international grape types such as Cabernet Sauvignon, Merlot, Cabernet Franc and Syrah -- and they produce plenty of blends of those and other grapes. It's this freestyle or creative winemaking that leads to a whole new category of wine called Super Tuscan. Whether a wine is an international blend or an established appellation, the inspiration of the past, present and future in winemaking continues today in Tuscany, and it entices all of us to search and better understand what is available to wine lovers. Festive welcome dinner to open the second edition of Divino Tuscany. Gala dinners at the opulent Palazzo Corsini on the banks of the Arno. Grand Tastings at the Grand Hotel Villa Cora and Four Seasons Hotel poured by the winemakers and proprietors themselves. Saturday night dinners in the private Palazzi of the most well known Tuscan wine families. Tutored tasting seminars at the Palazzo Capponi all’Annunziata with James Suckling and guest speakers. Relaxed country lunches with pig roast at the private villa Il Palagio, courtesy of owners Sting and Trudie Styler. © Copyright 2010 - Divino Tuscany & IMG Artists. All Rights Reserved.